For common questions and howto's, see the Struts Resume Support page. 2004.04.05 - Struts Resume 0.9 Released! This release is a major improvement over the last one. Not only did I upgrade all the code to use AppFuse 1.4 (release notes ), but I also removed Struts from the services layer. Moreover, you can actually enter almost all of the pieces of a resume and render it in HTML and Word format. The resume-entry piece (and sections you can enter) is largely based on what Monster.com uses. I may add other sections in the future (i.e. awards and publications). The main reason this is not a 1.0 release is because an administrator is the only one who can edit the HTML template - and the Word/RTF template is not editable online. Allowing a user to override the default template(s) will be the primary goal in 1.0. Upgraded to AppFuse 1.4 - Includes Spring and all kinds of other goodies. Added ability to edit HTML Template online (Admins only). Changed from ListMenu to TabbedMenu. Changed to fixed-width layout (700px). Added CSS drop shadows to headers. The Tomcat User's resume can be on the demo server at http://demo.raibledesigns.com/struts-resume/tomcat.html . 2003.09.14 - Struts Resume 0.8 Released! The highlights of this release include rendering a resume with Velocity (demo ), a password hint feature, self-registration feature, and a gzip compression filter. See the release notes below for a full list of changes. If you're looking to create a new application based on this architecture, you're best off using AppFuse. 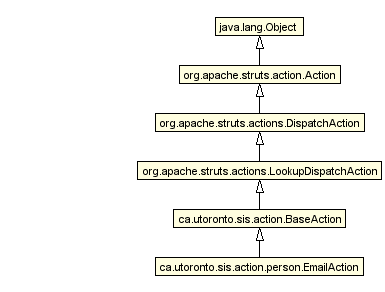 Alejandro Ramirez has been nice enough to supply us with some UML Diagrams of Struts Resume. Thanks Jano! 2003.04.04 - Struts Resume 0.7 Released! All kinds of upgrades in this release including: Hibernate (2.0 Beta 4), Struts (1.1-20030326), DBUnit (1.6-dev), Canoo WebTest (build276), XDoclet (1.2-20030328), and Display Tag Library (0.8.5). The only real new features are User Administration and a role-based Menu system. That is, only Admins can edit users. This was mainly motivated by the fact that someone keeps changing the password on the demo site, so now I can reset it using a browser rather than SQL. AppFuse is Struts Resume without any resume-specific code. I hope to use this project as my baseline for future web application projects. Struts Resume will (hopefully) continue to evolve into an application that I can host my resume on. If you've managed to get Struts Resume to run on databases other than MySQL (shouldn't be too difficult with Hibernate), please let me know using the StrutsResume Support page. Older releases can be found at http://raibledesigns.com/downloads .